We always welcome sponsorship support to help underwrite the Market. Find out more here. It is with a heavy heart that we cancel this week’s Market. Many of our farmers and food vendors are helping with relief efforts, feeding evacuees and first responders; others are facing the challenges of personal losses, staff availability, continued evacuation, and more. There are two more markets left in the season, including our closing Harvest Market Festival on the 27th. It is our hope that we will be able to come together on those days in community and support and fellowship. You have no doubt already seen many ways that help can be extended to victims of this disaster. One of these is the North Bay Fire Recovery Fund, organized by CAFF and the Farmers Guild. 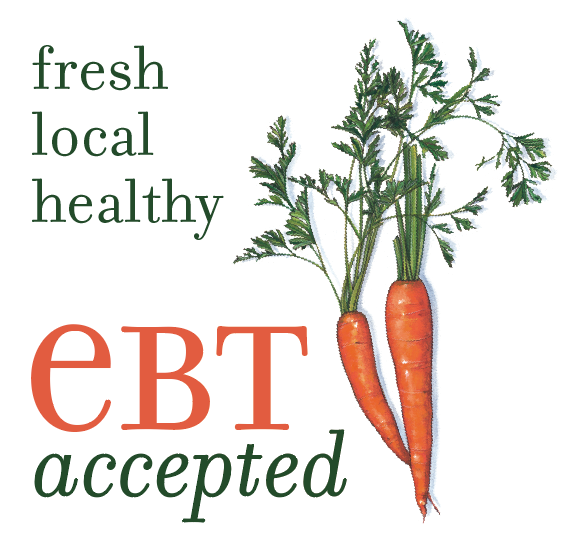 Donations of cash and non-perishable foods are also much appreciated at the Redwood Empire Food Bank. We are gearing up for the opening of our 16th season on Friday, June 2nd. Applications are now available! Please join us for our annual end-of-season celebration on Friday, October 28th, as the Occidental Bohemian Farmers Market winds to a close for the year. Forecast is predicting morning showers and a cloudy but clear afternoon. Event is rain or shine, though some activities may be canceled in case of inclement weather. 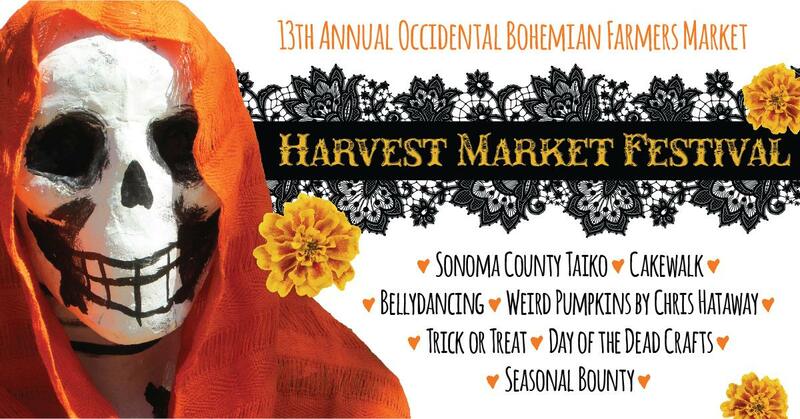 Please join us for our annual end-of-season celebration on Friday, Oct 30th, as the Occidental Bohemian Farmers Market winds to a close for the year. Costumes encouraged! We’ll be honest with you: it was a rocky road to the start of our 14th season, and it came very close to not starting at all. The survey we conducted this spring told us a lot of things, but the singular message that came through loud and clear is that OBFM customers really, really love this market. However, for the last few months, and especially the last week, we have been working very hard to make the case that the OBFM does not cause an undue burden on its small town home. There are legitimate concerns, and some folks believed that they were insurmountable. We need your help to make sure that the OBFM does not love Occidental to death, or the OBFM will go away. THE FOUR COMMANDMENTS OF THE OCCIDENTAL BOHEMIAN FARMERS MARKET. 1. DO NOT USE THE BATHROOMS IN LOCAL BUSINESSES unless you are one of their paying customers. The story of wastewaster in Occidental is a long and complicated one, but the takeaway is that businesses in Occidental have to pay an awful lot for sewage. It is just unfair to use their resources if you’re not one of their customers. The OBFM has provided portapotties for several seasons, and it’s very important that you use those. 2. PARK SMARTLY & MINDFULLY. The OBFM uses up a sizable chunk of the parking in town, which means that the remaining spots are in high demand. Don’t park in front of businesses that are open during the market. Don’t block driveways or roads. There is just not one good reason for parking on Bohemian Highway; don’t ever do that. Remember that there’s a good deal of parking just down the street at the Community Center and tennis courts, and it’s a very short walk. 3. TAKE YOUR TRASH HOME WITH YOU. There is no municipal trash service in Occidental. Think of it as a “leave no trace” experience. Participate in our Plate Away program to reduce (or even eliminate!) disposable plates, containers & utensils. It’s a simple thing, but if every visitor would take their small bit of trash home to toss, the wastestream in town becomes much more manageable. We would like to shift the paradigm that one’s own garbage is someone’s else’s problem. 4. PUBLIC CONSUMPTION OF ALCOHOL IS ILLEGAL. The OBFM does not sell or serve alcohol, and takes place in a public area. Pretty straightforward, that one. We know that the OBFM is a very special thing, in a special place, and that the community values it as a place to come together. We really love that about this market. Help us be good neighbors so the market can stick around. As ever, shoot us a note if you have questions or concerns.